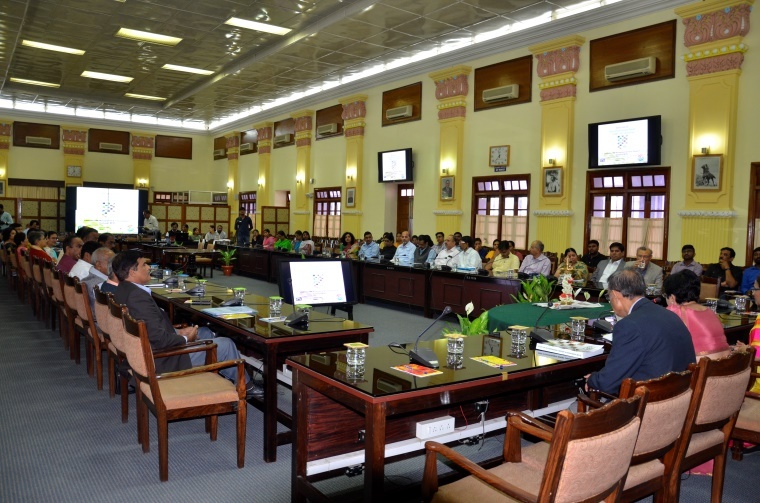 Karnataka State ENVIS Centre along with the host Institution EMPRI had prepared the SoER-2015 Karnataka Funded by Ministry of Environment, Forest and Climate Change (MoEF&CC), Government of India (GoI), with the help of 48 subject experts in the respective fields has prepared this report consisting of 16 chapters. The chapters are:- (1) Forest and Wildlife (2) Biodiversity (3) Coastal and Marine Ecology (4) Land Degradation –Mining and quarrying (5) Air, Noise and Water Pollution (6) Agriculture and allied sectors which consists of five sections viz. (a) Agriculture (b) Sericulture (c) Livestock (d) Horticulture and (e) Inland Fisheries (7) Water Resource and Irrigation (8) Health (Animal and Human Health) which has two sections viz. (a) Human health and (b) Animal health (9) Energy (10) Waste Management (11) Industry (12) Transport (13) Climate Change (14) Environmental Hotspots (15) Policy Recommendations (16) Economic Instruments. Each chapter was peer reviewed by a team of 16 reviewers and thereafter edited by the editorial team. These chapters discuss the present status, problems, solutions and the way forward. This report organized with text, pictures, graphs and charts makes a good reading to all environmentalists, researchers and policy makers to have a through understanding to take science based decisions for better environmental health, which will enable green growth and sustainable development in the state of Karnataka. 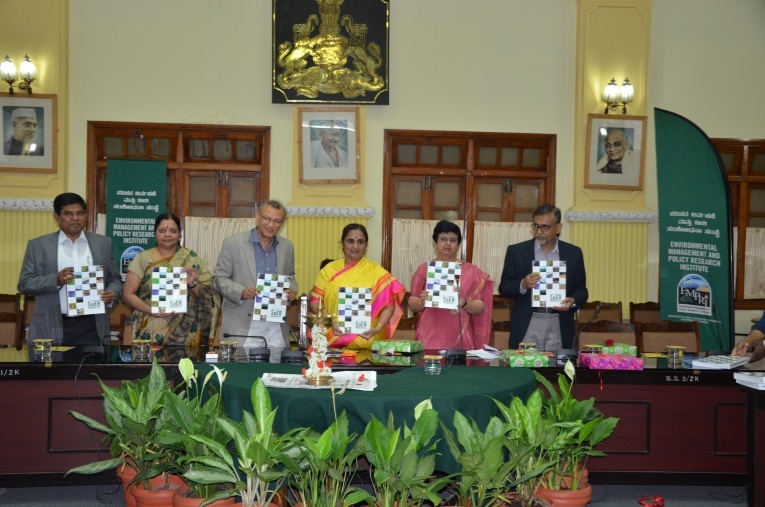 SoER-2015 Karnataka Book release by Smt. 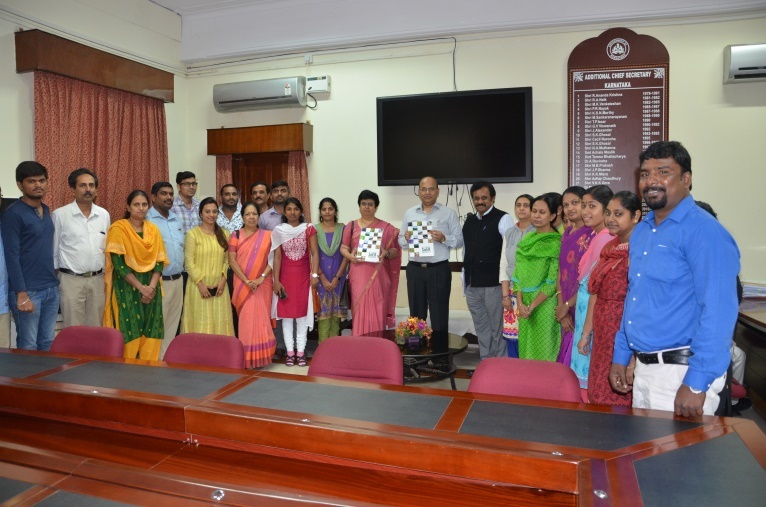 K. Rathna Prabha IAS., Chief Secretary, Gok (till June 2018) at Vidhana Soudha, Bangalore on 29.06.2018.